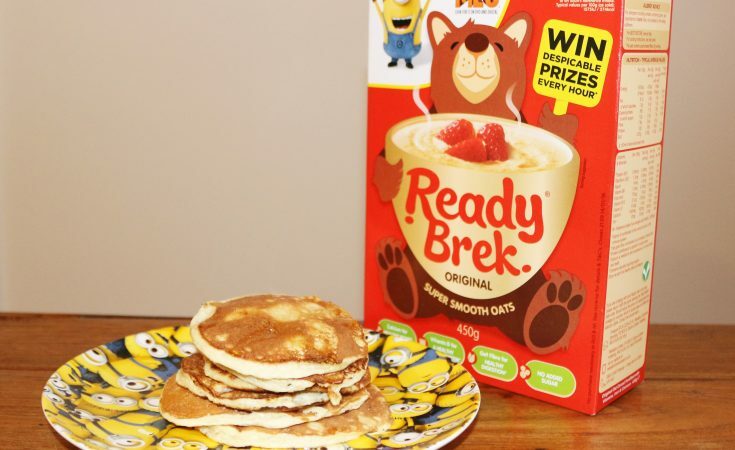 Looking for a Ready Brek Pancake recipe? It has improved and moved to here. Breakfast is the most important meal of the day, which is why it’s a shame that mums rarely get to eat it. 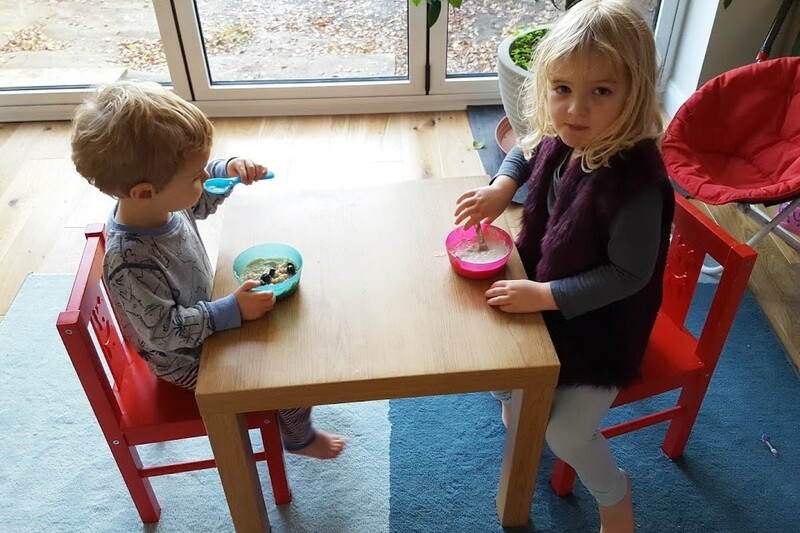 In this house, the mornings can be a fraught affair; particularly if it’s a preschool day or any other day where we need to get out of the house at a pre-ordained time. After asking the big one about 72 times to put her knickers on, to get her socks on, yes and the other one, and maybe some trousers and oh, for the love of God you can’t go to preschool without trousers on and WHERE IS YOUR CARDIGAN? It was RIGHT HERE and WILL YOU PUT YOUR BL—INKING SOCKS BACK ON!, I am so not ready for another battle. It is therefore vital that breakfast is a moment of calm; allowing me to make packed lunches, put the washing on and stack the dishwasher in relative peace before I have to face the next stage of getting out of the house; the get-your-shoes-and-coat-on struggle. Versatile; can be topped with anything from cheese to peanut butter. Delicious. But…Crumbs and butter everywhere. Good for days when you seriously can’t be bothered, as you can shove a bowl in their general direction (sans milk, I’m not an idiot – give that to them separately in a non-spill beaker) and lie on the sofa whilst they drop them everywhere and eat them off the floor. Seriously, if you have time for a full cooked breakfast then I want to come live with you. For parents only. Don’t let on you’re eating it and you might get away without sharing. Just kidding, I don’t even know what this is but it sounded funny. And then of course, there is Ready Brek. Fortunately for my slightly tricky to feed smallest, one of the foods that his tummy has absolutely no problem with is oats. It’s a good job, too, because he absolutely believes that anything apart from porridge for breakfast just isn’t breakfast, even if eaten at 7.30am. A firm favourite of the weaning mother, and anyone that remembers it from the 80s when it was probably full of tasty, tasty sugar, Ready Brek is now super healthy as it contains no added salt or sugar and is made from wholegrain rolled oats. 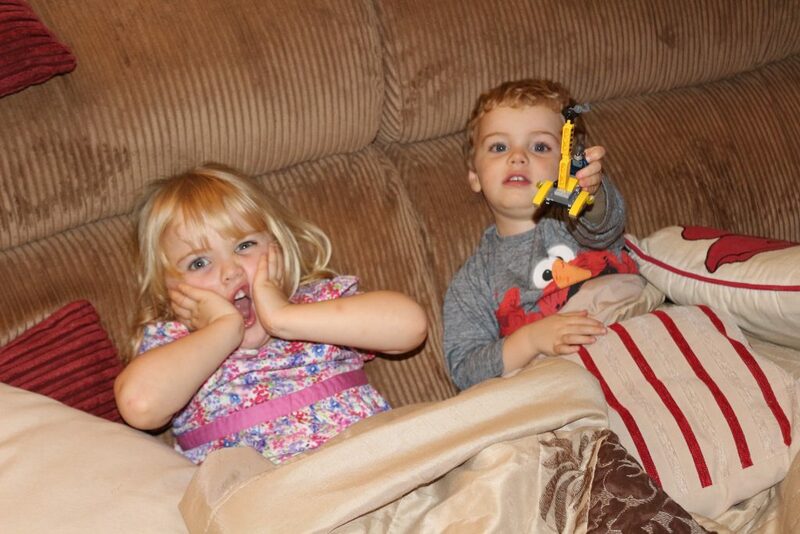 We love it because it’s a warm start to the chilly mornings, and it fills the kids up for ages. It’s also, to my mind, far superior to its wheaty alternatives because it doesn’t have a propensity to set like concrete once its been spilled (which it will be). The kids’ favourite is when it has chopped fruit mixed into it, and a maybe a splash of honey. The downsides of Ready Brek? It takes one minute to cook in the microwave, which is almost long enough for the ridiculously impatient small one to explode in an apoplectic rage. I don’t LIKE IT COOKED! Neither does he like cold Ready Brek. I’ve tried. Also, beware of the dust. If you are looking for something a little bit different, Ready Brek can also be used to make a really easy, wheat free pancake. Obviously normal pancakes are out for us as the small one can’t have flour, so these pancakes which use oats in place of wheat make a decent substitute that both will eat. This post was written in collaboration with Ready Brek. You can find out more about the brand here. You can buy Ready Brek basically anywhere (that sells food, I mean. Don’t try and get it from Dorothy Perkins). 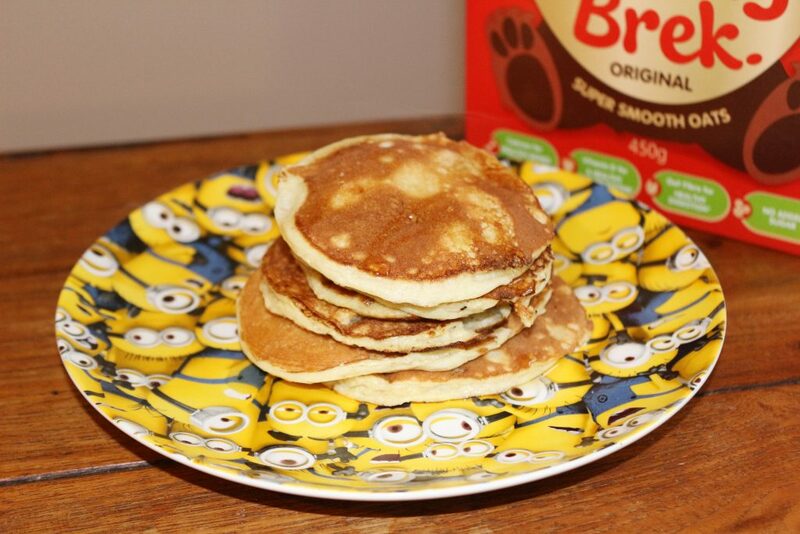 Currently, Ready Brek are partnering with Despicable Me 3, which I’m sure you’ll have noticed that we love! 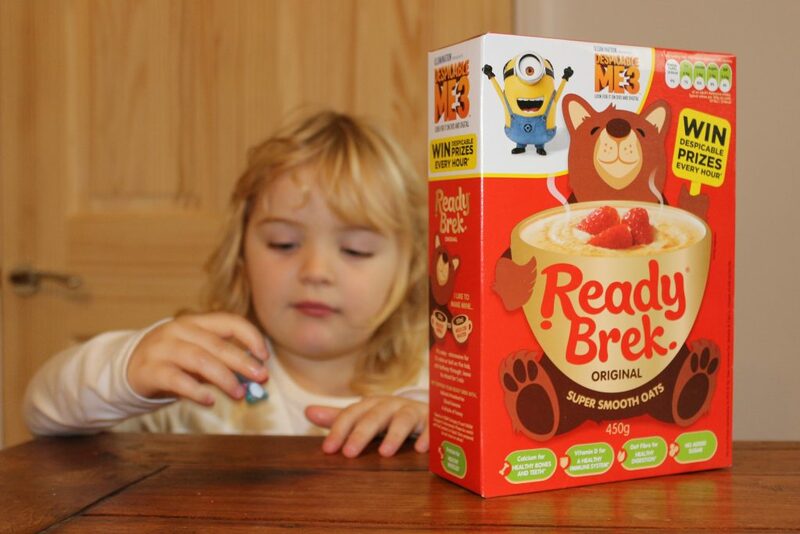 You can win Despicable Me 3 goodies every hour with promotional packs of Ready Brek. 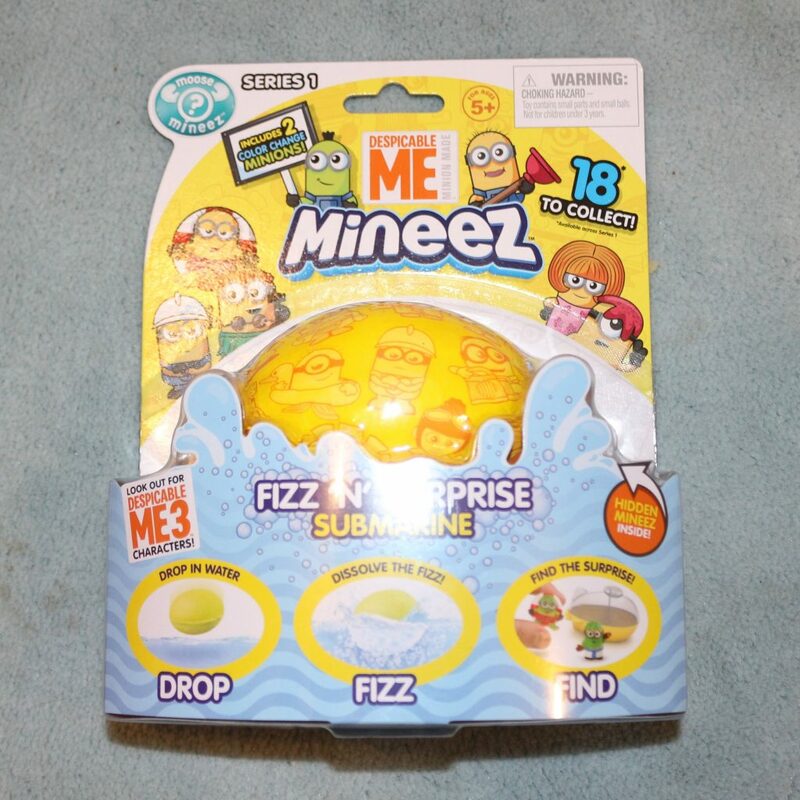 We were sent the DVD and a very exciting bath bomb along with some Ready Brek to try out. Continuing the warm and fuzzy theme, we decided to hold a film night. We all really enjoyed the film even though it was our second viewing. If you haven’t yet seen it, you really should!